A therapist says he is "astonished" by a university's decision to stop him studying people who decide to reverse gender reassignment operations. James Caspian wanted to write a thesis on "detransition" as part of his master's degree in counselling and psychotherapy at Bath Spa University. He said it was rejected by the university's ethics committee because it could be "politically incorrect". The university said it couldn't comment until after an internal investigation. Mr Caspian, a counsellor who specialises in therapy for transgender people, told Radio 4: "I was astonished at that decision. "I think that a university exists to encourage discussion, research - dissent even, challenging perhaps ideas that are out of date or not particularly useful." Image caption James Caspian wanted to research "detransition"
The university, formerly known as Bath College of Higher Education before gaining full university status in 2005, initially accepted his proposal but he struggled to find people willing to take part. He said: "I found it very difficult to get people willing to talk openly about the experience of reversing surgery. "They said they felt too traumatised to talk about it, which made me think we really need to do the research even more." 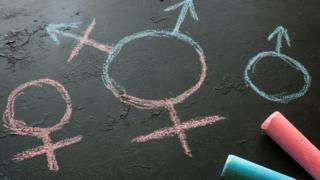 He amended his proposal - to include people who had transitioned to men and reverted to living as women but without reversing their surgery - and resubmitted it, but it was rejected by the ethics committee. "The fundamental reason given was that it might cause criticism of the research on social media and criticism of the research would be criticism of the university and they also added it was better not to offend people," he said. According to the Times, it was rejected because "engaging in a potentially politically incorrect piece of research carries a risk to the university". American transgender activist Riki Wilchins said studies on transgender people could have a "political undercurrent" and potentially have a negative effect on the way they are treated. "People have been launching studies that undercut transgender people's access to surgery for decades now," she told Radio 4. But Mr Caspian said older studies were out of date and the research was necessary "to help people". He added: "The whole field has completely changed over the last few years. "The idea that we might use the information from the research I was going to do in a way that wouldn't help people is completely wrong." He is considering a legal challenge but is waiting for the university to conclude an internal investigation.